On March 31, 2012, Matt and Deana tied the knot in Libertyville, IL. They are a wonderful couple and Chad and I couldn't be more happy for them! We were certainly blessed that day by so many genuine friends and incredibly tight-knit family members sharing in celebration of life & love. 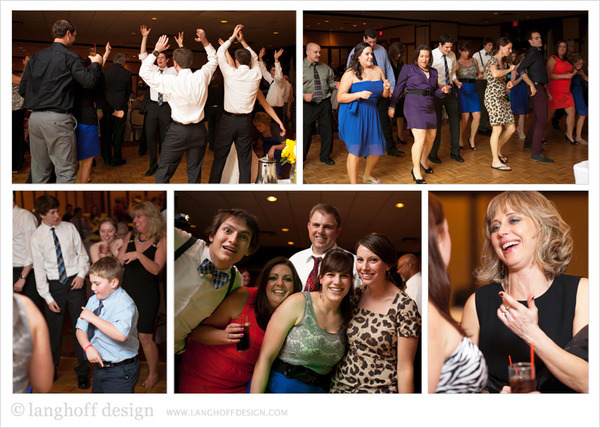 There was plenty of laughter in the air, loads of dancing on the floor (even dance-offs! ), and crafty hand-made details that creatively completed their "old classic movie" theme. 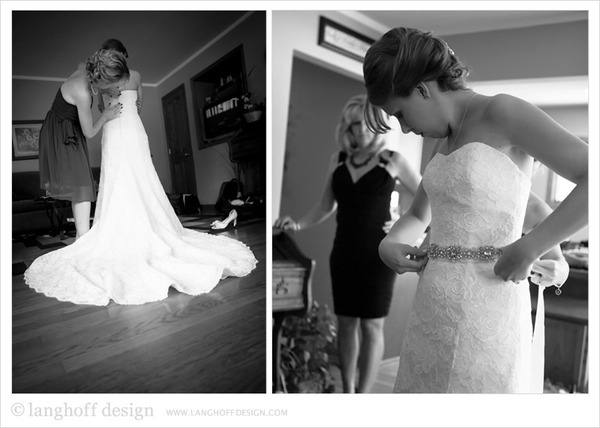 Nope, you're not seeing double—that's Deana's twin sister, Kendal, helping her Mom get Deana all ready for the aisle. Deana's dress was stunning! It's a Blue by Enzoni gown from A L'Amour Bridal Boutique. Her hair was done by Jessica at Allure Designs in Beauty and her make-up artist was Ann Swanson. Meanwhile, Matt was getting all spiffed up at the church. Stud! Matt and Deana decided to do a "first look" with each other before the ceremony. We had Matt waiting outside the church and Deana came out to surprise him so they could share a moment together before the wedding. I can't get over their sweet candid expressions that exude love for one another. You sure can't re-create these kind of moments! 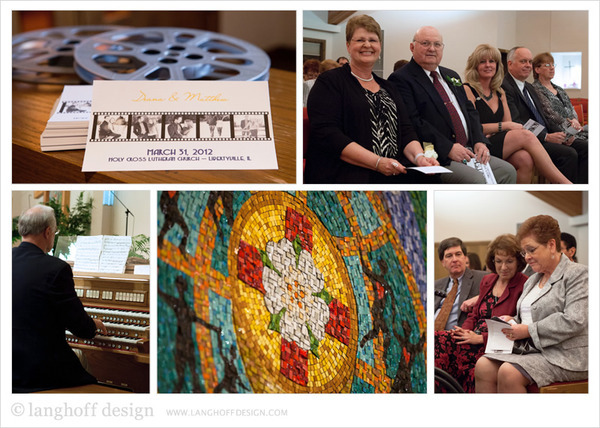 Their ceremony took place at Holy Cross Lutheran Church in Libertyville, IL. 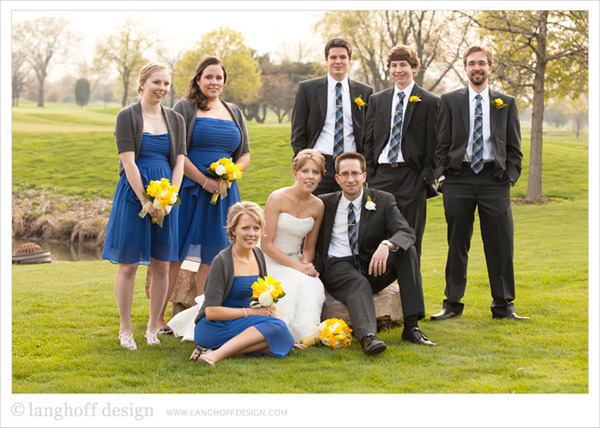 The Chevy Chase Country Club in Wheeling, IL where their reception was held made for a beautiful backdrop for the wedding party. The flowers were arranged by Krystn of Libertyville Florist and the bridesmaids' dresses came from ModCloth.com. Here are just a few of Deana's many hand-made crafy details that completed the theme at their wedding. Sara, from Lovin' Oven Cakery did a wonderful job on this pretty cake! It was very tasty, too. Kendal and Frank both gave heart-warming, humorous toasts to the Mr. & Mrs. Also, I love the shot below of Deana with her Grandmothers! 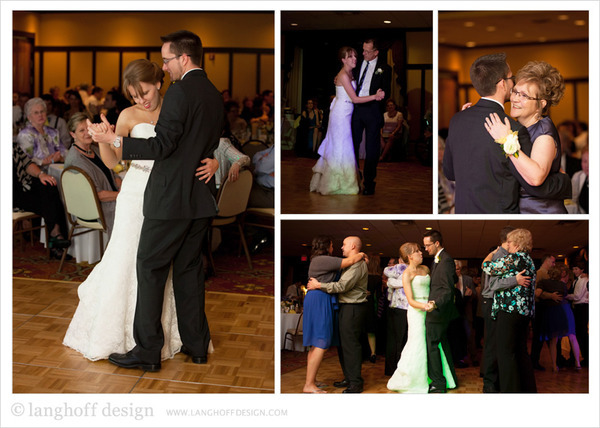 First dance, dance with Dad, dance with Mom....lots of dancing all around! 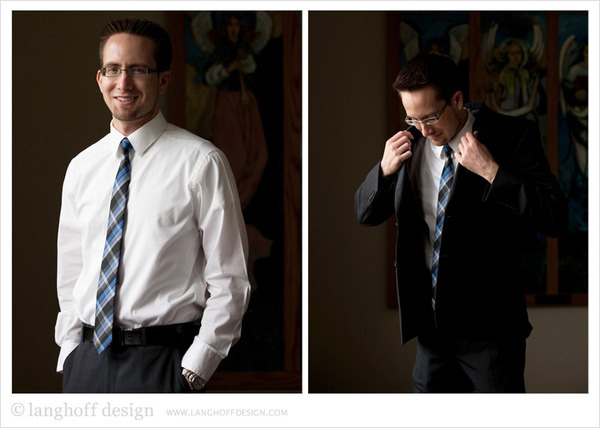 Rhys from Lexoria Wedding Films captured video of their wedding and reception. Matt Friscia and Tony Papa of Freelance Emcees and DJs kept the music pumping. Plus, you've got 11 more days to view their full photo gallery online before it expires. Sign their guestbook and check them all out!